The first two trimesters, I personally couldn’t wait to get to bed at nighttime, and rest my weary legs. They were holding a lot more weight you see! Sure, I still had to get up at least once a night to go to the toilet, and in the first trimester I would wake up hungry as well, but it was heaven to get all cuddled up, and I could still sleep on my back (although your midwife will probably not recommend it). But by the third trimester, I was NOT loving it. Now, I have to cocoon myself into bed with a pillow in front and in between my legs, and one behind me so I don’t try and rock onto my back at the same time as keeping my belly in front, and twisting it. If you go down this route, make sure it has a good stuffing. The KMART one (as to be expected) is rubbish stuffing, and very lumpy. I still suggest buying this as it retails cheap at $25, but buying better inserts, maybe duck feather. You want it to be good quality, as you’ll be spooning it like a boyfriend. In fact, I called mine Ryan. Yep, I spoon Ryan Gosling every night. It’s funnier because Chris refers to it as Ryan all the time -‘Get Ryan onto your side of the bed please!’ is a remark thrown around regularly in our bedroom. I then have a small pillow behind me, and I rotate onto each side during the night. It looks comfier than mine by FAR, but gives the same kind of comfort that I’m achieving with something in front and back. I should point out now that if you’re not in your third trimester and looking at this thinking ‘but where the hell does my partner fit into bed?’, yeah well – Chris sometimes ends up spooning Ryan as well, and we talk over the new divider that separates us in bed but as EVERYONE keeps saying .. ‘it’s just getting you ready for having a baby!’. Cheers guys. 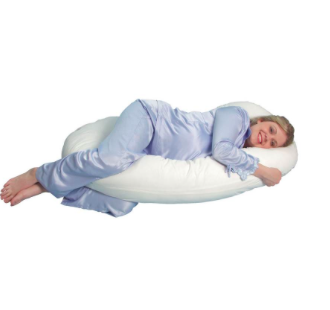 It retails at $89.99, and can be used as a great feeding pillow once the baby is here as well. You can pick this up from the Toys R Us in Belmont, on High Street. 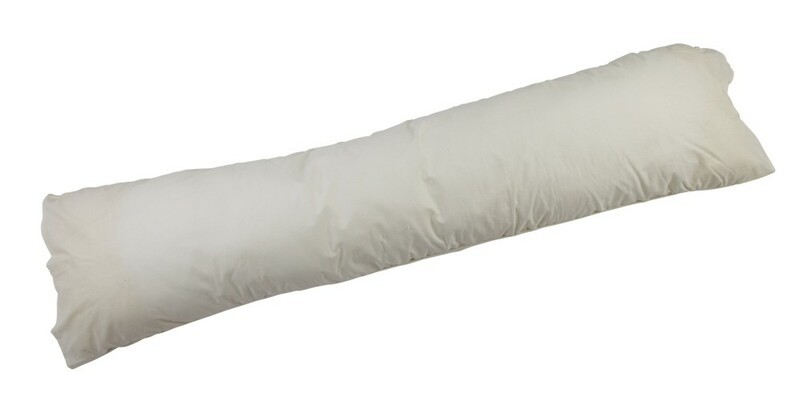 They also have the Back’n’Belly contoured body pillow for $129.99 and looks just like the middle photo above. 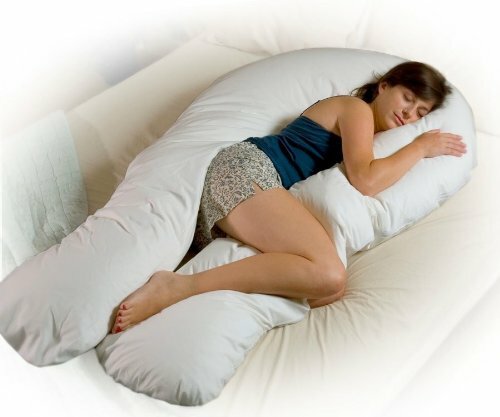 If something so big is not your thing, and you don’t mind online shopping there is the Bellybean pillow for $89. It is much smaller, allowing you to just support your lower back and belly, and can be used a few different ways so you can also have it between your legs. And again for the savvy online shopper who would prefer to sit and home, sipping some wi.. Oh I mean tea, the renowned website kogan.com has the horseshoe type pillow for $45, has FREE shipping, a FREE one year warranty and can ship to Geelong in a few days. Win! your webpage? My website is in the very same area of interest as yours and my users would truly benefit from some of the information you provide here.